The “Blog” of “Unnecessary” Quotation Marks: "mom's" "special day"
Don't forget to call your mom today, but I suggest you call her special without irony. Just a tip, from me to you. Thanks, John. 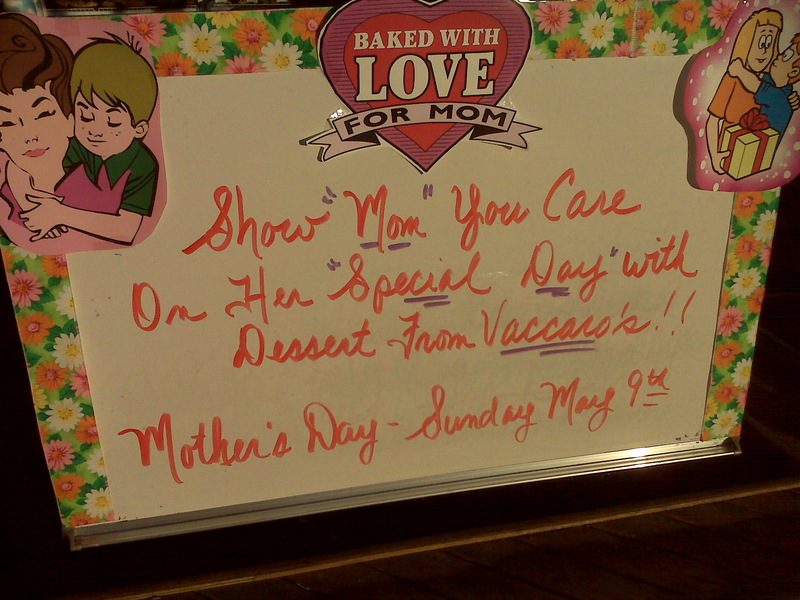 Well, she's not the sign maker's mom.... Actually, I'm impressed that someone so ignorant of quotation marks would spell "dessert" right. Perhaps for gay couples with children? This sign suggests I call someone who, although calling herself my "mom", is really Not my mom.